Don’t let compliance with your kitchen fire safety code obligations become a burden. Instead, let the pros at Flue Steam help. 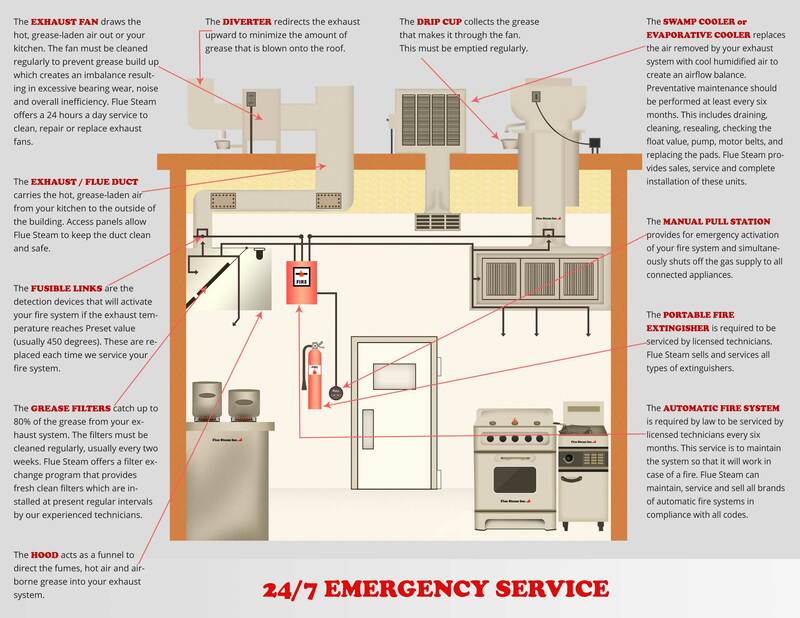 We can ease your mind and reduce your fear of code violations and exhaust system fires by providing services like kitchen exhaust hood cleaning in Camarillo CA. We can even provide the “Certificate of Performance” stickers you need to keep code officials and insurance companies happy. Do You Need Kitchen Exhaust Hood Cleaning in Camarillo CA? When trying to keep your restaurant profitable, you might be tempted to cut costs wherever you can. 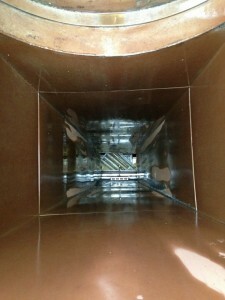 However, you should never skimp on your kitchen exhaust hood cleaning in Camarillo CA. Doing so could put you at an increased risk for a very costly exhaust system fire. By hiring Flue Steam, you can get thorough cleanings on a schedule tailored to the needs of your kitchen. We recommend starting out with exhaust hood cleaning every month or so. On each visit, we can measure the grease buildup on your exhaust hood to estimate how quickly it is accumulating. Based on this information, we can adjust the frequency of cleaning up or down to address faster or slower accumulation rates.